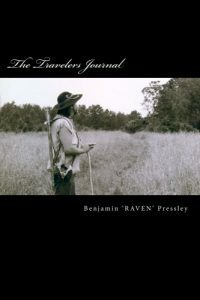 So begins this collection of poems and stories by Benjamin ‘RAVEN’ Pressley. You will laugh. You will cry. These stories will take you on a journey within. Prepare for the journey of a lifetime. Also available in PAPERBACK. Why are relationships so difficult sometime? 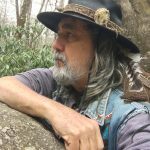 In this e-book Raven discusses relationships with husbands, wives and others, relationship with God and the absurdity of one human being being over another human being. Touching God…knowing him intimately, communicating with him, knowing his presence. This is something we must nurture. A very important part of knowing and touching God is prayer. Prayer’s most basic definition is talking to God. Just about all religions pray in some form. Prayer is the very lifeblood of the spirit but it is sadly the least emphasized or it is taught as just a way to get something from God. As blood is to the body, prayer is to the spiritual man. It carries away impurities, fights spiritual diseases and furnishes oxygen to our spiritual minds. Prayer tears down walls between you and God. It heals our spiritual deafness so we can believe and hear the voice of God. This author pleads for you to put aside religion and tradition and whatever excuses you have for not believing and consider these words and PRAY. This is how we touch God and connect to Him.Also available in Paperback. True Spirituality. Just saying it brings to mind a myriad of responses and reactions, some very emotionally charged and most polar opposites of each other. 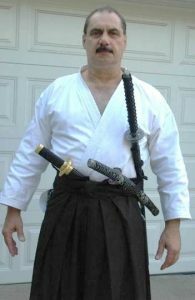 It is said if you want to start an argument then mention religion or politics. I have to agree. However, I propose to you that true spirituality has nothing to do with religion. I think a big part of the problem is the messed up definition most of us have of what it means. 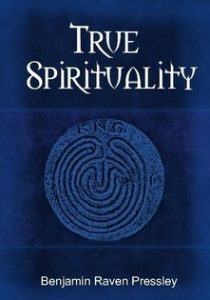 True spirituality has nothing to do with religion or any particular set of beliefs. It is an all-encompassing view of life and not denying that things are more connected than most want to accept. True spirituality carries over into every aspect of your life. It’s not something you have to stir up, pay up or wind up. It becomes as real as the air you breathe, invisible in many ways but so real and vital to you as an individual. True spirituality is something that comes alongside everything you do, every thought you think and everything you see. It becomes a filter through which you view all things on a level that just makes sense. Also available in Paperback. So many are so confused about what a Christian is and what it means to truly walk with God. It starts by having a relationship with God Himself. It isn’t about religion, that’s a man made thing; It is about relationship. It is knowing who you are in Christ. It is knowing and believing what the Bible says. When you realize who you are in Christ and what He has accomplished on your behalf then it will become natural for you to live for God. Not struggling. Not trying to pay a debt you think you owe. You will be transformed. You will be free. So many religions have made it so difficult and many sincere people are lost in a labyrinth of confusing doctrines. Don’t be lost in the labyrinth any longer. 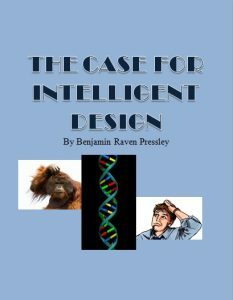 This e-book is part of a continuing series called ESSENTIALS. 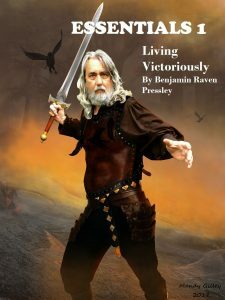 This volume discusses what it takes to live victoriously. Enjoy the many great studies available in this series. –How Sure Are You In What You Believe? 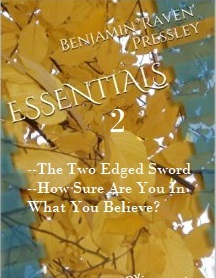 This is a continuing series of books ideal for your spiritual understanding called ESSENTIALS. In this volume we discuss The Two-Edged Sword and How Sure Are You In What You Believe? 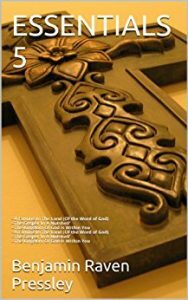 This is a continuing series dealing with many spiritual subjects.This volume deals with why people are saved but not free and the very important subject of why we are to be one with God. –Is There A SIn You Can’t Be Forgiven Of? 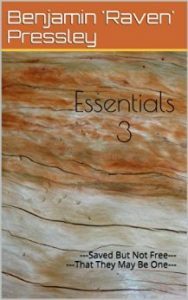 Essentials 4 is part of a continuing series that deals with many spiritual subjects. 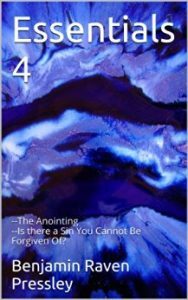 This volume answers once and for all whether there is a sin you cannot be forgiven of and whether a person can be so bad that he may not be forgiven. It also explains the power of the anointing and what it is. 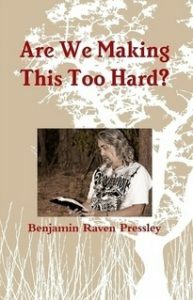 This is a continuing series that explains many spiritual subjects and answers many questions. –Are We Making This Too Hard? –What is In A Moment? 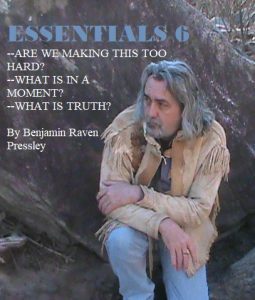 This e-book is part of a continuing series called ESSENTIALS. Essential teaching for walking spiritually. This book is about things I have learned the hard way. 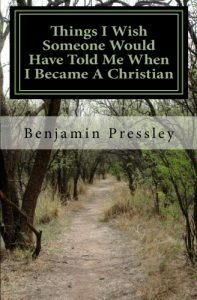 And not just me because as I taught this I surveyed many people and asked them what they wished someone would have told them when they became a Christian. My heart really went out to them because many of the things they wrote to me were cries of pain, people really trying to live for God but struggling. 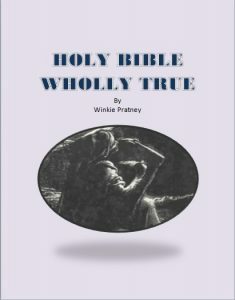 My hope is when you read these words that you too will gain new insights and understanding in how to really pray, how to really study God’s Word, understand adversity and more. I don’t claim to know it all. The words I present I present humbly, but I also present them with the power and authority of a Bible believing child of God. The truth will set you free (John 8:32). It is my desire with this book that God will use these words to set you free to be all that you were meant to be in Christ. Also available in Paperback and quantities may be purchased at a discount price. 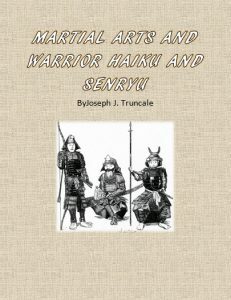 I have always loved the simple elegance of the haiku and senryu forms of poetry. 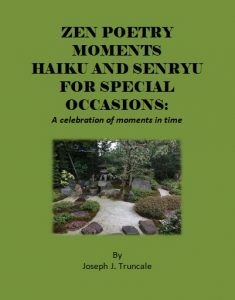 The haiku and senryu in this collection were created specifically for the many different occasions humans may celebrate, as well as the many emotions one may have experienced in a life time.